Later I met and published several books by Donna Druchunas, who has delved deeply into her Lithuanian roots with a special interest in the knitting heritage. 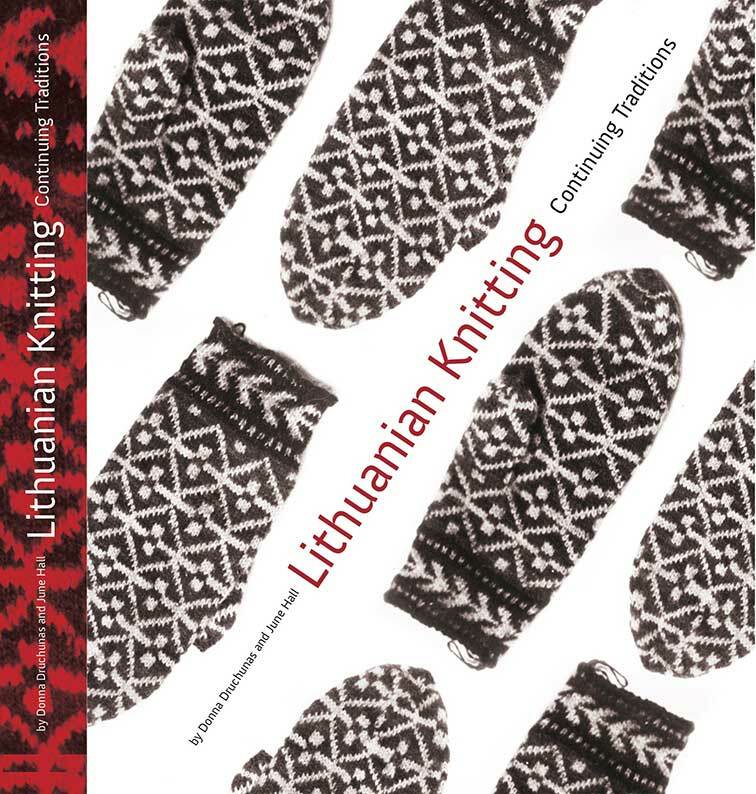 Donna included some Lithuanian material in her Ethnic Knitting Exploration, for which I knitted the samples as part of the design and publishing process. Donna’s dedication and rigor make her a great working partner. 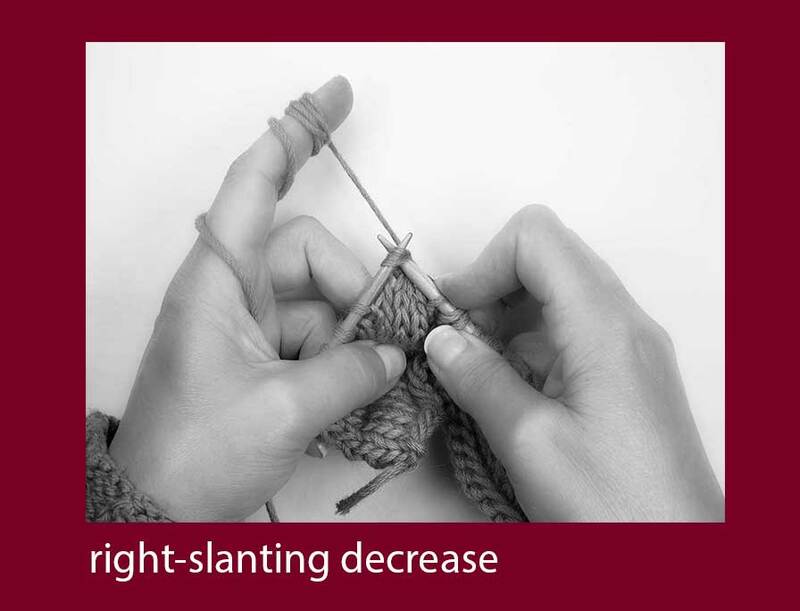 A left-slanting decrease is usually worked as ssk in America these days. 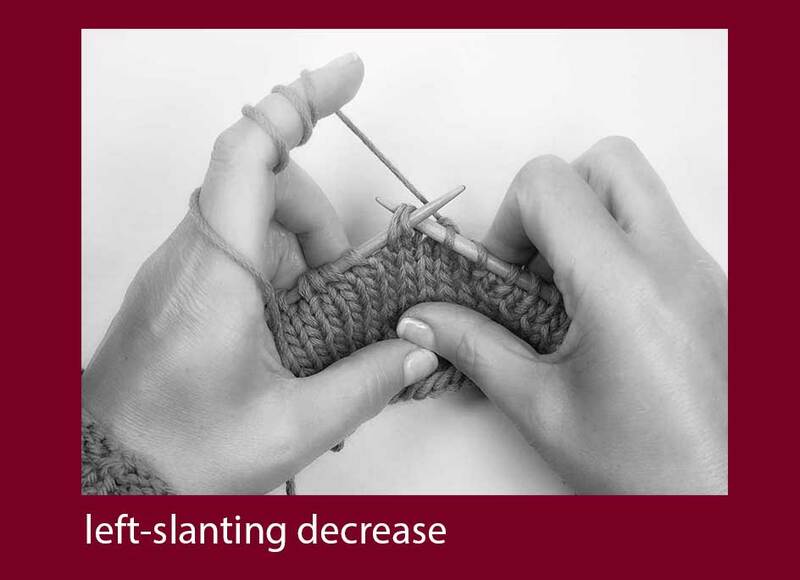 In my Lithuanian knitting books it’s usually called simply “knit two together,” but because the stitches are turned, you put the right needle into the back of the two stitches to knit them together and the final decrease leans to the left. 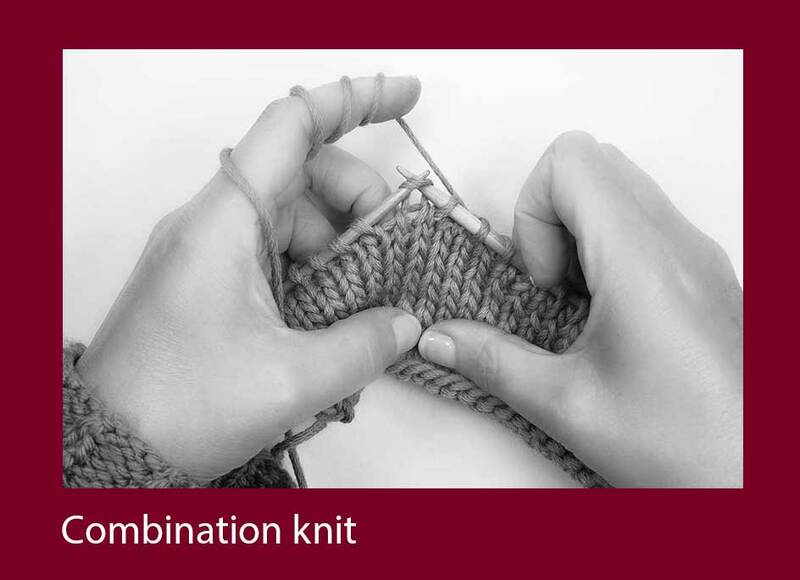 Sometimes it is explained like this: 2 akys, sumegztos kartu gerai iš apačios (knit two together from the bottom, or back). 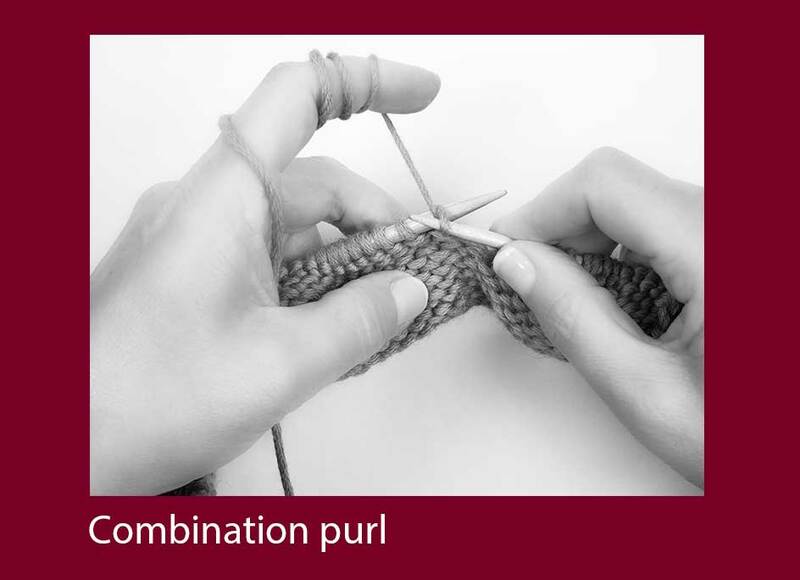 But it’s not usually so simple, because knitting terminology is not standardized in Lithuania, so each author explains things in her own way. If you knit in the Lithuanian fashion, with the leading leg in back, this will be twisted. You can turn the stitches around first so they don’t twist, if you prefer. There’s no formal name for this maneuver, but it is similar in concept to ssk. It is actually only necessary to turn the second stitch around. The first stitch will be the bottom stitch in the decrease, and will be hidden. 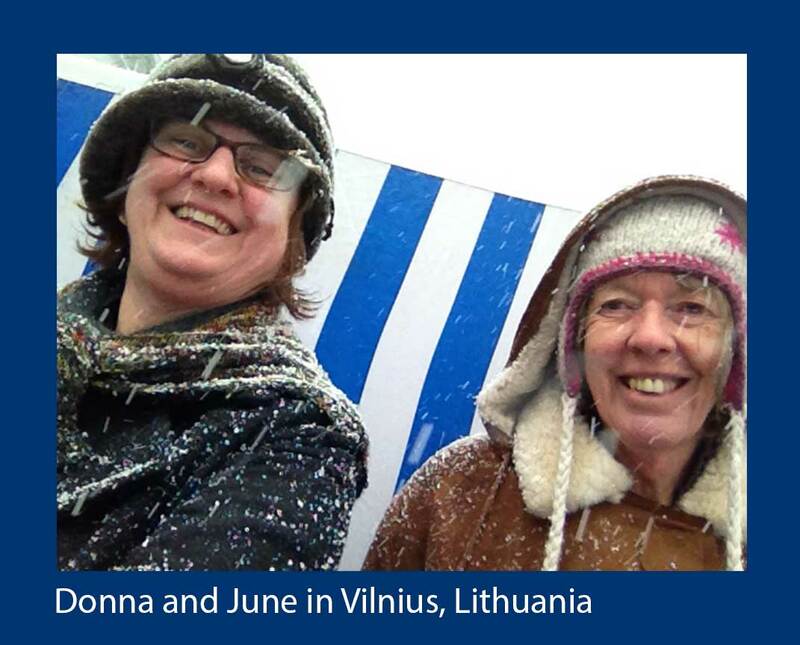 I’ve been working on this book with my co-author June Hall since 2007, with several trips to Lithuania for both of us between then and now, along with uncounted hours of writing, knitting, and editing. * We are finally ready to send the files to the printer. To pay for this, I’ve been holding a Pubslush crowdfunding campaign (like Kickstarter but only for books) and we’re over 100% funded today with just 5 days left to go! I’m so excited that so many people are helping me make this dream come true in a way that will give back to the Lithuanian economy. The book is being printed in Lithuania, and the extra funds that come in will go to our Lithuanian art director, Marius Žalneravičius. There are more posts in the book’s blog tour here. Felicity Ford’s post has a photo of Lithuanian coarse-wool sheep. Donna, What an amazing project! (Not that I’d expect any less of you.) Congratulations on persevering, and on having the passion to give back to Lithuania too through the publishing process. And on making your Pubslush goal early–you go!